Lighting is a very important element of all home decor design. This awesome book gives you 35 ways to create perfect lighting. 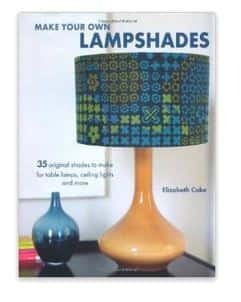 It contains designs for 35 DIY Lampshades. Beautiful, unique lampshades can instantly enhance and transform any room. There are designs here for ceiling lights and for lamps. Use these fantastic ideas to design lighting for home or as gifts for others. Some of these are so cool that you could sell them to others. A great idea for ebay sellers or people who sell handmade items at markets. A wide range of ideas that can be customized to suit your purpose and your personal taste.